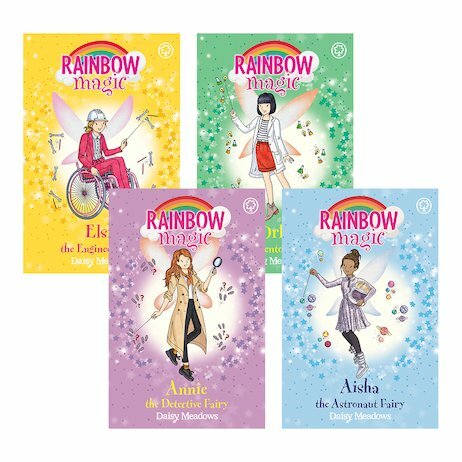 The Rainbow Magic series for younger children (5+) is a phenomenon with dozens if not hundreds of entries. 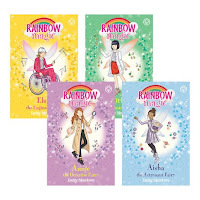 The latest collection comprises four "Discovery Fairies", the third of which caught my eye... 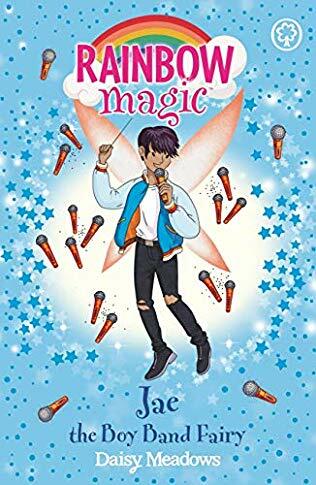 I've been working in libraries for over ten years and have often been asked for the 'fairy' books by Daisy Meadows (who is a collection of writers) but this is the first time that I've read one. 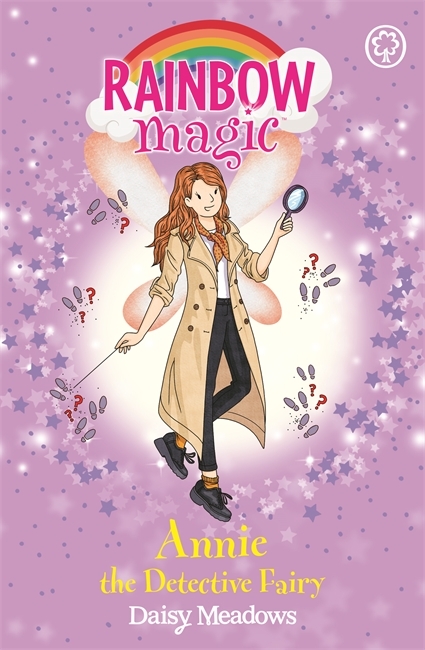 Annie the Detective Fairy's magical notebook has been stolen by Jack Frost. 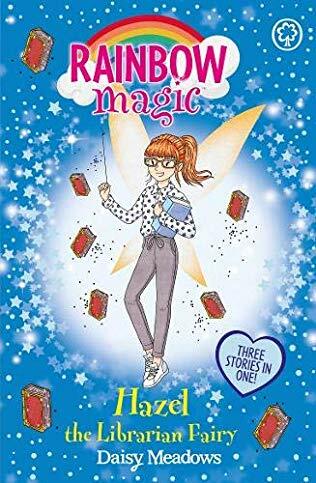 Human girls, Kirsty and Rachel are shrunk to fairy-size and return with Annie to Fairyland to help her get her notebook back. Whilst Jack Frost has the notebook, Detectives will not be able to solve their cases!! Jack has renamed himself Shivershock Bones and his goblin sidekick is Dr Gobson. 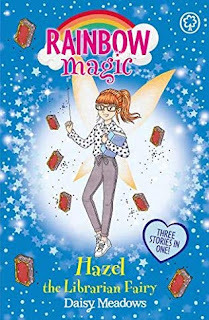 When the girls and Annie arrive in Fairyland they appear in an incomplete fairy circle - the sixth toadstool (house) and six fairies having just disappeared one day. A real mystery. It takes an unexpected collaboration to solve that mystery and for Annie to get her notebook back. Annie wears a trench coat and uses a magnifying glass to shrink her human friends. There are brief references to Sherlock Holmes. The mystery is resolved by magic however fairies, humans, goblins and Jack Frost have to work together first sharing their information (clues).